Members of the U.S. military have a long-standing tradition of carrying a special coin symbolizing unit identity and esprit de corps. With bonds forged in battle thousands of miles from home, these custom coins minted for military units – each bearing their own revered symbols and mottos – capture in metal the essence of their affiliation and their fierce pride. Known to generations of American military personnel as challenge coins, they are a vital part of military life today and are revered by troops in every branch of service. Today, challenge coins are carried by soldiers, sailors, airmen, and Marines, as well as lawmen and firefighters. These coins identify the bearer as a member of a particular unit with a well-defined history and mission. And, wherever warriors gather, they challenge each other by “coining.” The group’s unique coin is slammed on a bar to challenge all in the group to display their own coins; he who is last must pay a penalty. The tradition of challenge coins can be traced to World War II when American forces deployed to the far reaches of the globe securing the nation’s freedom. Soldiers back to World War I and the Civil War left for battle with a coin from home in their pocket and kept it after the conflict as a lasting remembrance of their wartime experiences. American soldiers stationed in Germany after the war adopted that country’s popular “pfennig check.” The pfennig was the smallest unit of German currency. When someone announced a pfennig check, a soldier who could not produce one had to buy a round of drinks for his buddies. The popularity of challenge coins spread during the Vietnam War, inspired by Special Forces that minted coins to express the unique identity and strong bond forged between them. Other units wanted their own coin to build camaraderie and symbolize their pride of membership in an elite group. 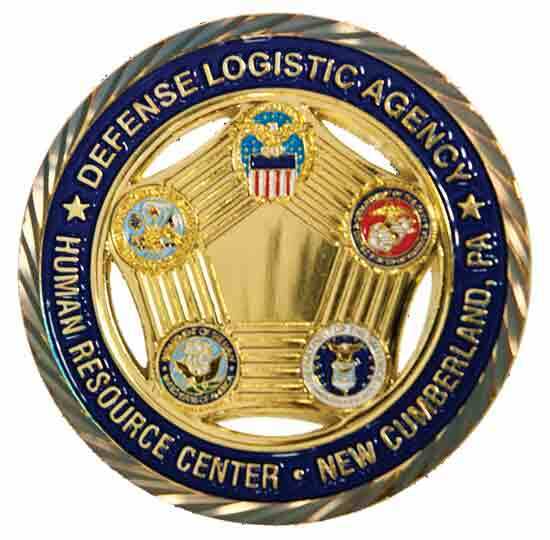 A challenge coin is not merely a token. Challenge coins today are a tangible source of pride for America’s warriors at every level in the chain of command. Commanders use them as on-the-spot awards. Senior military leaders often dole out their coins as gifts to foreign dignitaries or civilian VIPs. "Note" is a required field.